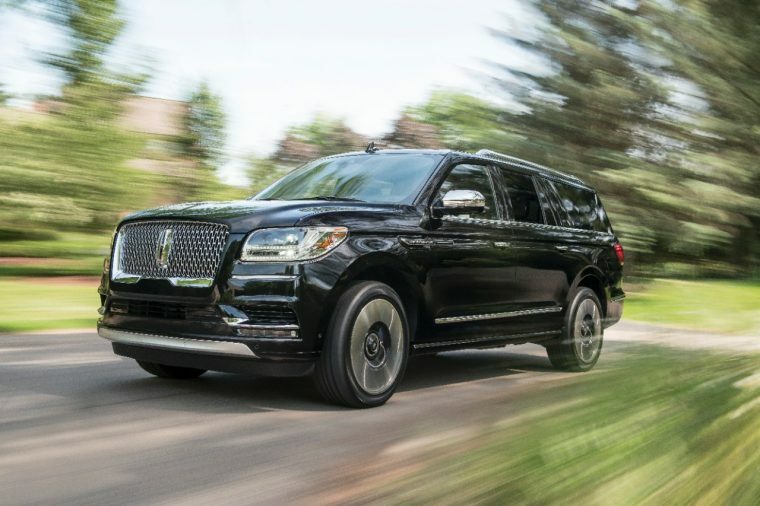 Lincoln Motor Company revealed in June that its next-generation Navigator will be offered in an extended-length body style that will be almost a full foot longer than the regular 2018 Navigator. The extended-length 2018 Lincoln Navigator is promised to offer additional storage possibilities with best-in-class cargo volume behind the second row, an additional 15 cubic feet of cargo space behind the third row, and a special below-floor storage compartment located behind the third row. Coinciding with the announcement of the extended-length Navigator comes a more detailed look at one of the Navigator’s three Black Label interior themes—Destination. According to Lincoln, Destination draws inspiration from vintage luggage, upholstering the interior in Mahogany Red Venetian leather with diamond weave stitching and finishing it off with complementary khaya wood laser-etched appliques. The 2018 Lincoln Black Label Navigator will also be offered with Chalet and Yacht Club interior themes. The former utilizes Espresso and Alpine Venetian leather with Silverwood appliques to create a feel tantamount to that of being on a ski trip, and the latter uses Coastal Blue Venetian and Blue Bay Alpine Leather with whitewashed teak highlights to evoke the feeling of being on a fancy boat. 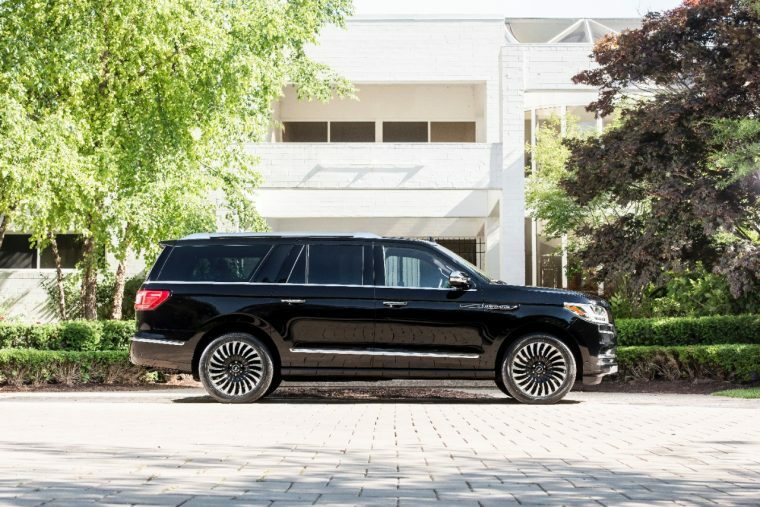 Purchasing a Lincoln Black Label Navigator entitles owners to premium services including complimentary car washes for life, a complimentary culinary experience, the opportunity to qualify for the Avis President’s Club, and personalized vehicle shopping services.